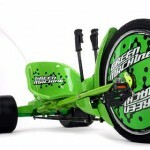 Zero to 60mph in 3.5 seconds, top speed of 125 mph and a recharge time under two hours with a standard 13 amp power supply. Wait, what? Those are not typo my friends, they are the stats for the TTX01 electric sportbike unveiled at the 2008 NEC Bike Show in Birmingham. Based on the chassis of a Suzuki GSX750, the TTX01 utilizes two 43 bhp Agni Lynch electric motors equivalent to the peak power of a 600cc gasoline powered motorcycle. 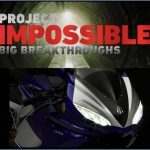 Even more surprising is that the TTX01 has an additional motor on the front wheel that creates a two-wheel-drive motorcycle. 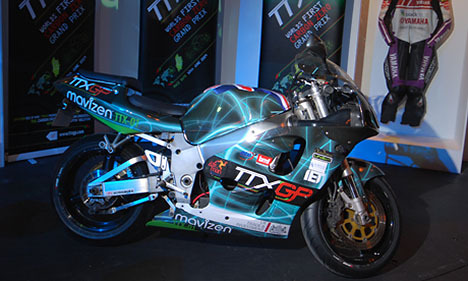 The TTX01 was produced under commission by the organisers of the TTX GP in order to demonstrate the potential and usability of the electric motorcycle. 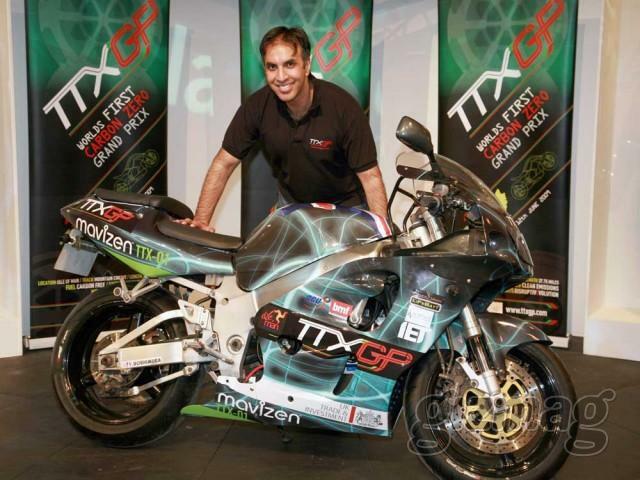 TTXGP founder Azhar Hussain. Currently the TTX01 has 14 kWh battery packs, but the goal is to have hot swappable 20 kWh batteries which will power the bike at normal road speeds for about 50 miles. 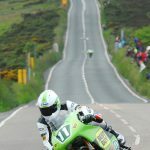 For the next six months the TTX01 will be on a promotional tour of Europe, before returning to the UK for the TTX GP race on the Isle of Man next June. 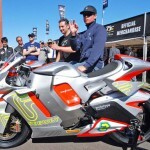 A limited number of the bikes will be for sale by the close of 2009 for a cost of $30,000.